At the foundation of any thriving economy is a robust insurance industry. Most people are not entirely aware of the role that insurance plays in modern economies and so in today's Insurance Experts post, we'll look at how insurance is the basis of healthy economies. The main function of insurance is to spread risk. In its simplest form, insurance allows a group of individuals to put small sums of money into a pot, and use the money only if one member faces a loss. Rather than risk facing one disastrous loss, members take small losses every month and are ensured protection from serious losses. This system of spreading risk has two main benefits in modern economies: it encourages entrepreneurship and forms the basis of the credit system. It encourages entrepreneurship because it frees businesses of the financial burden of having to prepare for future losses. Imagine owning a coffee shop without insurance. On top of paying rent for your location, salaries for your employees, and supply costs, you would have to put funds aside in case you encountered a total loss. In this way, it allows entrepreneurs to invest their money into their business without those added costs. It also allows individuals to access credit by assuring lenders their investments are guaranteed. To use the coffee shop example, imagine you want to open up a new location. You request a bank loan to help pay for a new property. Your bank can only do this if their investment (in your property) can be guaranteed. If your building was destroyed in a fire, your bank would lose the investment. With insurance, they can be sure that their investments are protected. 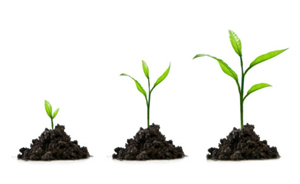 Credit allows business ideas to get off the ground and keeps economies dynamic. As a foundational aspect of modern economies, insurance plays a vital role in contributing to the well-being and happiness of all members of society. Spreading risk allows individuals to invest in business ventures without the fear of losing everything, and gives investors the assurance they need to put money in the hands of capable entrepreneurs. At the Insurance Experts blog, we love going through the insurance questions you send us! In addition to individually answering your questions, we like to post a handful of questions on the site to help other readers who may be confused about the same things! Today, we tackle your home insurance questions! 1. If I have an "all perils" or "all risks" insurance policy, does that mean I'm covered for everything? Unfortunately, a lot of the terms used in the insurance industry are not the most descriptive. Comprehensive insurance, which covers you against "all risk", has exceptions and exclusions. While it does cover you for almost everything, nearly every comprehensive contract will have exclusionary clauses that exclude perils like floods and earthquakes for instance. When buying insurance, be sure to have your insurance broker go through all the exclusionary clauses so you understand exactly what you are covered for! 2. What should I do if a friend of mine breaks something valuable in my house? If someone you know breaks something expensive in your house, you're better off dealing directly with your friend as opposed to making a claim. If you make a claim, you will be indemnified by your provider, who will then extract damages from your friend. To make things simpler, avoid putting a claim on your record and request compensation directly from your friend. 3. If I decide I don't want to replace an item that was stolen, can I still get cash for it? It depends on your policy, but typically you will receive cash indemnification in lieu of replacement if you so choose. Ask your insurance broker to further explain how your policy works with respect to replacement and cash indemnification. 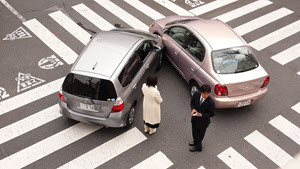 In past posts of the Insurance Expert blog, we have gone through what you should do after getting into a car accident and how you can make the claim process as simple as possible. We have not, however, discussed the things you should avoid! 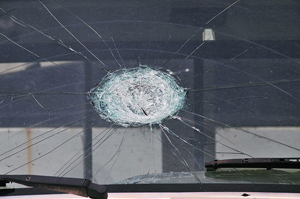 In this post, we will go through what NOT to do after an accident. Even if you think you caused the accident, do not admit fault at any point. It's possible the other driver made some mistakes which contributed to the accident, and it's best to leave deciding fault to the insurance adjuster and police officer. You must always be honest with the police officer about the facts, but do not expressly admit fault. Before you authorize any major work on your car, be sure to call up your insurance company. They often have special arrangements with repair shops and it may be in your interest to go there rather than an unaffiliated repair shop. It is often common in minor collisions for another driver to offer compensation for the accident so that both parties can avoid making a claim. This can be risky, especially if the other driver is at fault; in such a case, a cash payment may not be in your best interest. Leaving your car in the middle of the road could cause another accident. If nobody is injured, you should move your car to the shoulder and call the police and your insurance company from there. Car accidents tend to bring out the worst in people. Be the more mature adult and remain calm. Even if the accident is the other drivers', it serves no purpose to argue about it! When it comes to making an inventory of your possessions, the right technique for taking photos and video can speed up the process of making a claim. Moreover, properly cataloguing and organizing your files can make your life easier in the unlikely event that you need to be indemnified for a loss. Here are a few essential tips from the Insurance Experts at Sharp. Start by taking out your videocamera and filming your house in one continuous shot. Take a wide-angle shot of the house and then move inside, walking through each room without stopping the recording. It will help to confirm the veracity of your tape if you include a family member in the shot. After completing a video walkthrough of the house, go room-by-room with your still camera. 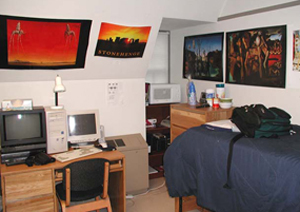 In each room, begin by taking wide-angle photographs, and then proceed to take close-ups of individual items. Open closets and drawers to show all the contents. Take closeups of serial numbers for expensive equipment, so that your insurance company can make the connection between receipts you provide and the piece of equipment you have in your pictures. When it comes to close-ups, be sure to tie them to the rest of your house by having the room still visible in the background. To make your life easier, set up folders on your computer for each of the rooms in your house. That way your insurance company can quickly and easily look through your photos and make an estimate of the value of your possessions. Along with a written inventory, a photo and video documentation of your home’s contents can speed up the claim process. A speedy claim process not only means less stress, but it means your family can go back to normal sooner. Tornados are incredibly destructive forces of nature. They can obliterate infrastructure and endanger the lives of communities, as was demonstrated in Goderich, Ontario last month. Knowing how to prepare for a tornado, and how to react to one, is of the utmost importance, especially if you live in a high-risk area. As the old adage goes, an "ounce of prevention equals a pound of cure." Having the right supplies ready in the event of a tornado could be the difference between life and death. When a tornado warning is issued, be sure to gather food, water, essential medications, important documents, roadmaps, batteries, flashlights, a cell phone, utility knife, first-aid kit, whistle and gasoline. Blankets and warm clothing are also important to have prepared. Keep a battery or crank powered radio handy to listen to emergency broadcasts. Write down important emergency phone numbers. If you're indoors, take shelter in the basement or lowest floor possible. Do not light a match or lighter. 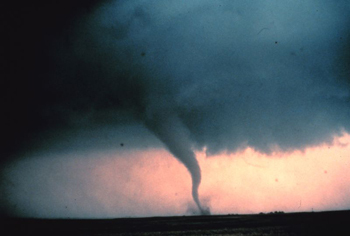 Tornados can damage gas lines and even small flames could potentially cause a fire. Avoid windows, which can shatter and cause an obvious safety hazard. Try to hide behind or under heavy furniture. In public buildings, always take shelter in the lowest level. Avoid open spaces and find a small closet, bathroom, or hallway that has no windows. Do NOT try to outrun a tornado in a car or on foot. Get out of your vehicle and find a building; if there are no buildings nearby, find a low-lying ditch and lay prone. After the hurricane has passed, check on your family and tend to any injuries they may have sustained. If your home has sustained damage, be careful when exiting as structural damage could cause a wall or beam to fall. Call emergency services in the event of any serious injuries. Check on neighbours to see if anyone else needs assistance. 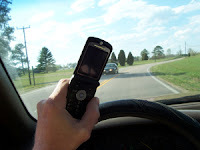 In the last Insurance Experts post, we looked briefly at Alberta's new distracted driving legislation, and outlined a few tips for avoiding distracted driving. Today, we're going to look at the nuts and bolts of the legislation and exactly the kinds of behaviour that are covered under it. What activities are not allowed? Under the new legislation, talking on a hand-held phone, texting, using a portable gaming device, programming an mp3 player, manually entering information on a GPS, reading a book, writing, drawing, grooming and brushing your teeth are explicitly prohibited. You are permitted to use hands-free mobile devices if you need to communicate while in the car, and eating small snacks and drinking beverages is allowed if it does not significantly divert your attention from the road. The legislation aims to curb drivers who willingly put others at risk by diverting their attention away from the road. Bill 16 applies to all vehicles outlined in the Traffic Safety Act. Within the meaning of the Act, that means not only cars, vans, SUVs, commercial vehicles and motorbikes, but also bicycles! Bicycles, while smaller and more vulnerable than motor vehicles, can still cause major accidents and so it is important that cyclists be focused on the road at all times. The new legislation applies to all "highways", as outlined in the Traffic Safety Act. Now, before you start to think the law only applies to major intercity freeways like the Trans-Canada and Highway 2, "highways" are defined in the legislation as any urban or rural route which the public typically access by vehicles. This means streets, roads, parking lots, alleys and even sidewalks. If you have any more questions regarding the legislation, feel free to comment on this post. We will get to your questions immediately!